Before Christmas a terrible thing happened (others would say it was a stupid thing, but it happened all the same), I washed a pair of jeans which happened to have my Sony Walkman MP3 player in the pocket – oops! Whilst this isn’t exactly breaking news, it did mean I was back on the trail and in the market for a replacement device and what I found was quite surprising; they haven’t got any cheaper since I last bought one and have gained very few additional features. 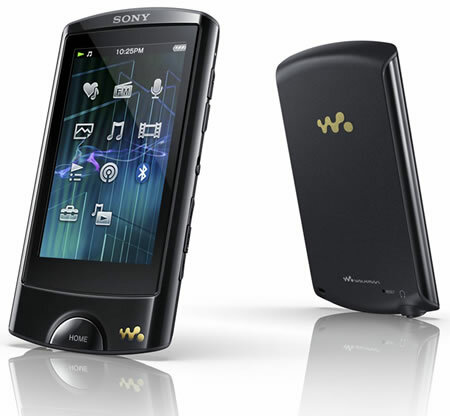 Now, admittedly the one I ended up with (another reliable Sony Walkman), has a touch screen, but even without this feature, prices were still comparably the same. The reason I found this so astounding was simply because the price of flash memory has definitely been reduced. A 16GB USB flash drive can be bought for approximately £8.99 at the moment, shipped! I understand that the other components and software and manufacture all cost money, but £90 additional pounds sterling? I find that hard to believe. Before buying I did consider the alternatives to a dedicated MP3 player; my phone being the most obvious choice and actually loading my music onto a USB Flash drive – but the problem with either of these is that I actually use my MP3 player quite a lot and interruptions from phone calls don’t appeal and re-kitting my car stereo for a USB drive without having the control of a player is hardly a ‘nice solution’. Whilst I hope this MP3 player will last, I’m also of the opinion that it may be the last player I ever buy. After this one, I hope that the memory in my mobile phone is greater than 16GB (as seems to be the standard in most mobiles – 32GB models always seem difficult to track down). In the meantime, let the music play.